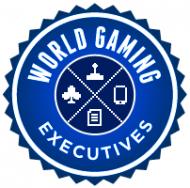 A group for anyone involved in the games, gambling and entertainment industries. This includes mobile, PC & video games and content developers, Game Artists, Game Audio specialists, Game Voice Actors, Publishers, Marketers & PR, Plus Gaming/gambling companies, Movie & TV rights owners, Esports and Sports, and much more. The group was originally created to discuss the intersection of mobile, video games, gambling, sports and traditional entertainment.